Mind subconscious scrying is a divination ability that lets you see psychic visions through a medium, typically a crystal or other clear surface. 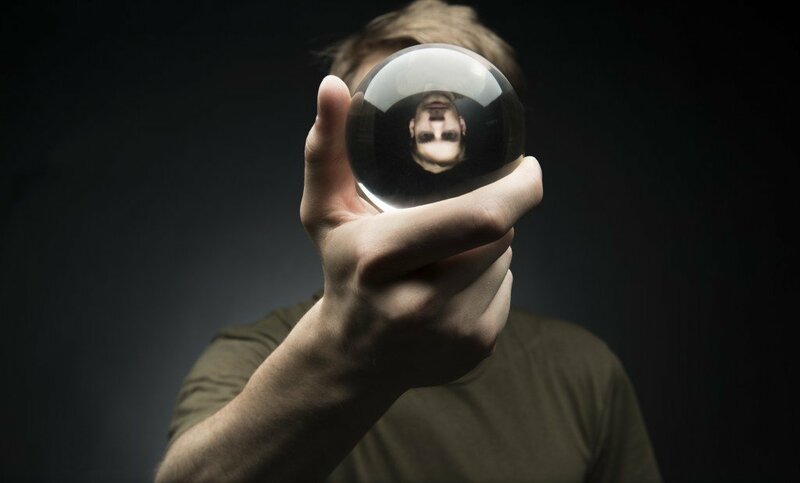 You may be familiar with the stereotype of gypsy fortune tellers using a crystal ball to foresee the future, but you can work on this power just as you can work on other divination and psychic mind powers. There were a series of laboratory tests known as Ganzfield experiments that have worked toward proving the existence of psi abilities. You do not need a laboratory setting to work on your scrying talent, however, as there are exercises you can do in your own home to test and improve your ability. Many psychics and mediums like to use a scrying mirror. Crystals might yield results, but they can be very expensive, especially for someone new to scrying. A scrying mirror is something you can construct for around five dollars, depending on where you purchase your components. Begin with a picture frame. The shape does not matter that much, but it should absolutely have a glass insert, as opposed to plastic. If you go to any discount store such as Wal-Mart, Target or even a dollar store, you should be able to find something to suit the purpose. Once you have your mirror, you will dissemble it by removing the insert from the frame. Clean one side of the remaining glass with glass cleaner, and then coat that side with a thick application of black paint. No light should pass through the glass, so you should apply however many coats of paint are necessary. Reassemble the mirror, placing the painted side inside the frame. Your mirror is ready to use to develop mind subconscious psychic talents through scrying. The procedure for scrying is very simple and straightforward, but it can be a challenge to perfect. Begin with a brief meditation session, and then prepare your room for the activity. Dim lighting, calming music and incense are things you may want to have to set the mood and create the proper atmosphere. Place your scrying mirror on a table at a convenient level for you. It should be propped up at a slight angle, and many small picture frames include a stand that would suit such a purpose. Focus on the mirror, keeping your mind subconscious clear. If after twenty minutes nothing has happened, you should end your scrying session and try again later. The concept is to see images in the blackness that have meaning to you or that speak to you. Practice by looking directly, then indirectly into the blackened glass. See which approach looks best for you. Images can appear in various ways, so be prepared for anything from a cloudy blur to something very specific or even outlandish. Keep practicing and you will notice an improvement in this skill of the mind subconscious.